Along with baseball and watching reality TV, summer road trips are one of the great American pastimes. What better way to celebrate America’s independence than by cruising down Route 66 to take in all the beauty the country has to offer? Take some advice from Booking.com and just wing it! Hit the highway for a spontaneous trip down Route 66 and see where your journey takes you. With the Booking.com app Booking Now app at your side, 24/7 customer support and thousands of properties along the way, you’re never far from a comfy bed, no matter where you roam. Here are some perfect pit stops along Route 66, combined with playlist suggestions to create the ideal soundtrack to your All-American experience. 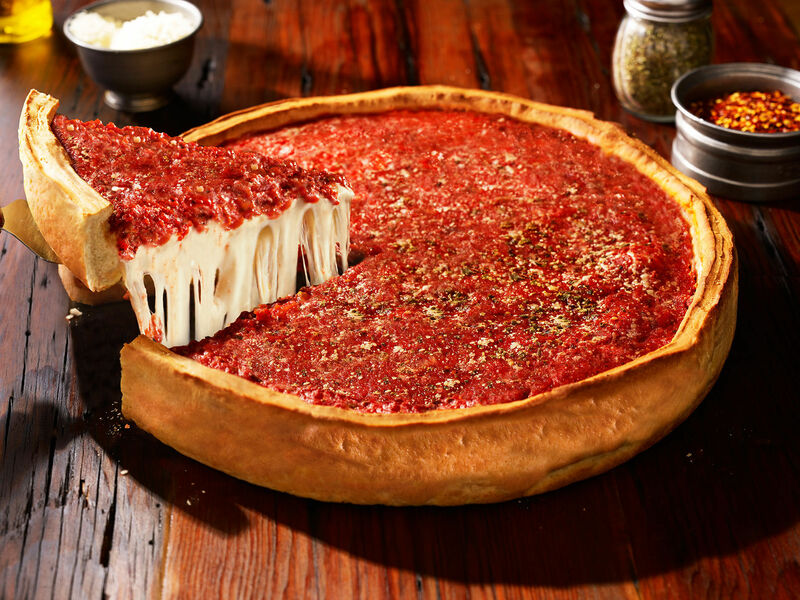 All-American experience: As the birthplace of the deep-dish pizza, it would be rude not to treat yourself to a slice… or ten. Booking.com reviewer Santiago recommends the pizzas over at Giordano’s, but reviewers all agree you would be hard-pressed to find a bad slice in the city. Feeling a bit stuffed after a stuffed crust? Check into a comfy room via your Booking.com app and rest up before hitting the road. Song #1: Start as you mean to go on, with “Route 66” by Chuck Berry. 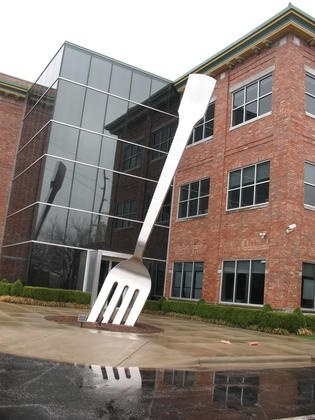 All-American experience: The potential home of America’s most loved family, The Simpsons, Springfield is also the place to see to the world’s largest fork, clocking in at 35 feet high and 11 tons of gleaming aluminum. Booking.com reviewers also mention plenty of music venues worth checking out. Reviewer Laura gave The Outland Ballroom the thumbs up for reggae, while The Gilloz Theatre was singled out for its dedication to all things rock. Song #2: It’s power-balled time – “Born To Be Wild” by Steppenwolf. All-American experience: Time to don your Stetson and hit the National Cowboy and Western Heritage Museum. Need to get outfitted with some cowboy gear? Reviewers agree that Oklahoma City is a great place to shop thanks to the numerous independent stores and shopping malls. To keep your engine running, Booking.com traveler Jessica recommends Nic’s Grill for a satisfying meal of American classics like chicken-fried steak or burgers with curly fries. Song #3: Get into the travelling spirit with “Here I Go Again” by Whitesnake. 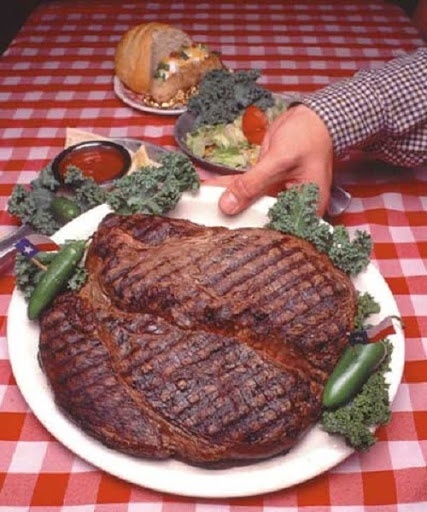 All-American experience: Time to think big, because Amarillo is home to the Big Texan Steak Challenge. Competitors from far and wide head to the Big Texan Steak Ranch to try and eat the legendary 72oz. steak in record time. Aside from the mammoth portions, reviewers like Tammy also loved the friendly feel of the city, giving you even more of a reason to stay the night in one of Amarillo’s properties with an indoor pool or 28 pet-friendly accommodations. Song #4: There’s only one answer… “Is This The Way To Amarillo?” by Tony Christie. All-American experience: The fictional setting of the hit show Breaking Bad, in reality Albuquerque is a great place to get back to nature. Plenty of Booking.com reviewers recommend the hiking trails, with travelers Robert and Rosalind both mentioning Sandia Peak and the Tram as must visits. There are also plenty of horse riding stables in the city, so you can saddle up and ride on out, then hit the hay at one of Albuquerque’s spa or design hotels. Song #5: Head over to Arizona to the tune of “I’ve Been Everywhere” by Johnny Cash. All-American experience: Williams is only 60 miles from the southern rim of the Grand Canyon, and reviewers definitely thought it was worth the drive. Booking.com traveler Dana mentioned driving towards the Canyon at sunset to enjoy a spot of stargazing. You can also hop aboard the Grand Canyon railway and set off into the dessert. Song #6: By now you’re really into the swing of impulsiveness, so rock along to “No Particular Place To Go” by Chuck Berry. All-American experience: Having spent so much time on Route 66, it would be a shame not to drop by the Route 66 Museum. Here you can learn about the history of the highway and see some of the classic vehicles that have made the journey over the years. 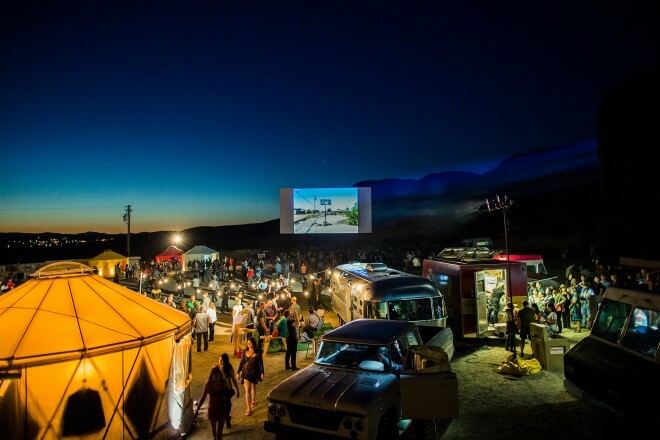 After that it’s time for one final All-American Experience at the Drive In Movie Theatre. Song #7: You’re spoiled for choice when it comes to California songs, but “California Dreamin’” is definitely a front runner.